#1 NJ Bed Bug Pest Control experts can help you Get Rid of Bed Bugs! BedBug Chasers – The NJ Bed Bug Pest Control Experts At Your Service! The NJ Bed Bug Pest Control Experts say: If you wake up in the morning with tiny, itchy bites on your body, there is a very good chance that you have bed bugs. However, do not assume that every bite mark is from bed bugs. Even a doctor cannot give a positive diagnosis simply by examining bite marks. They can only suggest possible causes for what may have caused the bites. If you think you have bed bugs or see bugs in your home on or near your bedding or other furniture, you should have your entire home inspected by a qualified NJ, NY or NYC bed bug inspection dog. BedBug Chasers uses only NASDCA Certified Bed Bug Dogs as they can alert you as to how much of a bed bug infestation you have. Depending on where the infestations are you might be able to avoid treating your entire home which will save you money! The US has rapidly become infested with bed bugs and they are here to stay. These nocturnal blood suckers have been spotted from Maine to California and are now everywhere in between. How did they get here, why are they spreading so fast and why is it so difficult to get rid of them? 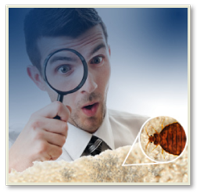 What can the NJ Bed Bug Pest Control experts do about it? Contact BedBug Chasers today! Bed Bugs in NJ, NYC & Westchester County – Why Are They Back? Increased world travel – genetic evidence collected has shown that bed bugs infecting households in the U.S. and Canada in the last decade were not domestic, but imports from countries still using DDT like chemicals. Resistance to chemicals – 90% of bed bugs sampled from 66 populations collected from 21 U.S. states were resistant to Pyrethroids, the most widely used group of chemicals to treat unwanted insects and flies and Heat is the only treatment they can not become resistant too! How fast do Bed Bugs spread in NJ, NYC and Philly? Are you prepared to be SHOCKED? 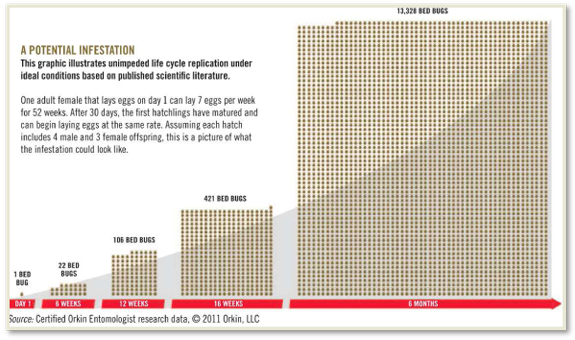 One (1) pregnant female bed bug can become an infestation of 13,328 if left untreated for 6 months! ***A BedBug Chasers Heat Treatment is the only method that can kill ALL STAGES of BED BUGS where they hide, We Don’t Need to SEE them to KILL Them! Part of the 70% unreported bed bug infestations? 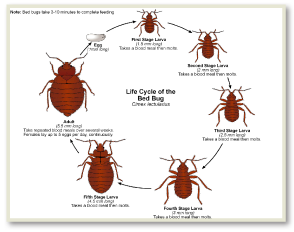 How to Get Bed Bugs in NJ – BedBug Chasers we Invented “ONE & DONE” bed bug Heat Treatment! 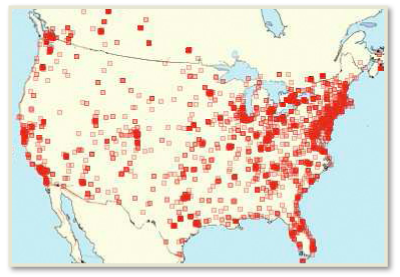 All 50 States reported bed bug infestations in 2010. Experts believe ONLY 30% of all infestations are reported. Are YOU part of the 70% unreported bed bug infestations? Have you noticed bed bug problems in NJ, NYC or Philly?